In many ways, that’s true for effective telesales scripts. That’s not to say that effective telemarketing language and what you say isn’t important (and we will talk about that in this blog) but it isn’t just about bombarding prospects with your sales pitch however good you think your product or service is. the decision maker but you also need to make sure that you have excellent gatekeeper techniques to get through in the first place. 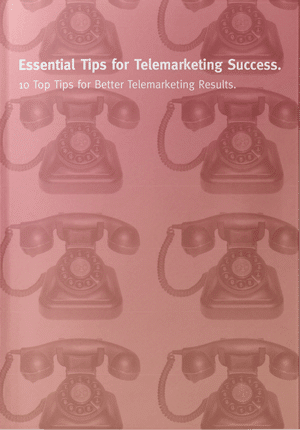 Included in our telemarketing tips below is a key telemarketing success factor i.e. tone. We will start with that one. Using Great Tone in cold calls: It doesn’t matter what you say if you say it without conviction or passion. A study found that human behaviour was only influenced by words to the tune of 7% whilst tone accounted for 38%. Therefore, a fundamental factor in your successful telemarketing script is the way it is delivered to the prospect. Plan effective telemarketing calls: Again, we have to recognise that lack of pre-call planning can derail any call. If you haven’t understood the impact of forthcoming changes in the marketplace and your prospect asks you how the service takes account of new legislation, the whole call could be wasted and the opportunity to redeem the situation may never arise. You need to do your homework on your products and services and how they benefit prospective clients and how they fit into context in their market. Plan and ask good questions: Once the initial few awkward seconds have elapsed, and you’ve hopefully engaged in some sort of discussion however loose, good open questions ensure that the conversation becomes a dialogue not a monologue. Plan the questions you want to ask around pain or gain i.e. what challenges they have or opportunities your services can give them. You should prepare a set of strong telesales questions and document these so you can use them as a pick an mix during the call. But take care not to make it sound like a research survey. The prospect will switch off fast if they feel under pressure to answer a long list of questions when you haven’t developed the relationship. Devise relevant open (and closed filter questions) and ask them gently during the flow of the call. Effective call flow is essential and good questions will enhance rapport and ultimately likely call success. Asking good questions also provides the ammunition for closing the sale (on the phone or face to face) or generating the meeting as a call outcome. Objection handling techniques: We have recently written a separate blog on this subject. It is a big topic and we can’t do I justice here. However, it is inevitable that buyer objections will arise and you need to deal with them. Questions are again key to qualify and clarify objections. If you do this, some will simply dissipate. If you’ve identified a valid objection, you then need objection handling skills to manage the situation. People skills are important but also you would benefit from using techniques that will subsequently allow you to move the conversation on to a conclusion. Good telemarketers know likely objections before the call and they have planned responses. Document the most common objections and your response. That way, you won’t be caught out and you will be more confident of success. 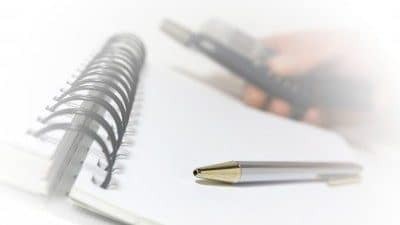 The above tips for generating an excellent telemarketing script or structure are essential if you want to increase telemarketing success. The factors above aren’t the only things you need to consider and we haven’t dealt here with use of compelling language and tone mirroring, different buyer communication styles and features and benefits amongst others. All of these are important if you want to improve telemarketing effectiveness. Telemarketing training can support you if you haven’t considered these aspects before in your calling. But a good start point is to work on the points above to enable you to build an effective and compelling telemarketing call structure that will help you to generate more telemarketing appointments and more sales from outbound cold calls. If you’d like to know more or book a new business development strategy workshop and find out how GSA Business Development can help Generate Growth for your Business, by contacting us now on 0845 658 8192 or send us an email. The telemarketing script is really very important when it comes to cold calling.